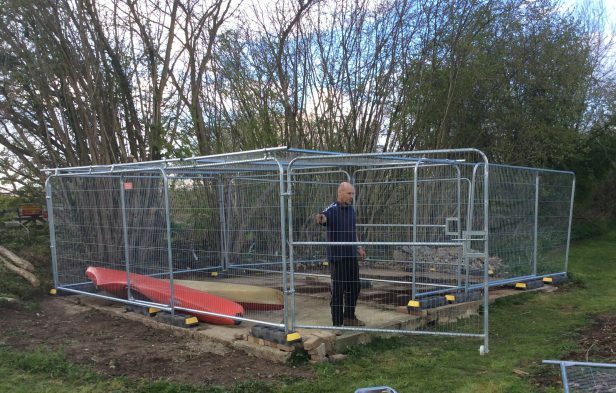 It is not yet finished but is now in place and ready to be used, so from now on we will meet for Harefield sessions at Rickmansworth Sailing Club, Troy Lake, West Hyde, WD3 9YB. 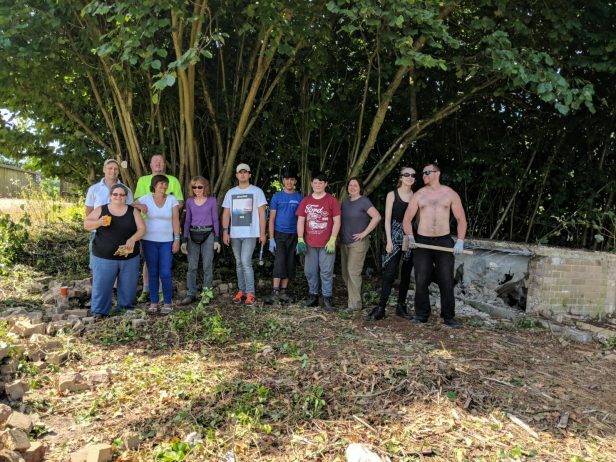 To access the site by car you need to turn off of the A412, Denham Way, on to the Old Uxbridge Road. 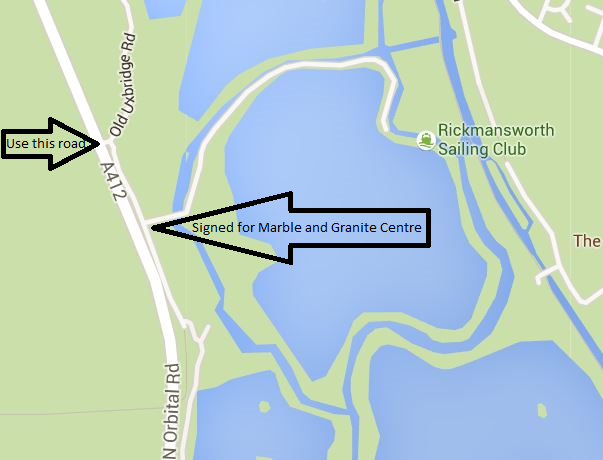 There is a sign on the A412 for Rickmansworth Sailing Club, drive into the entrance for the Marble and Granite Centre and follow the road round. If the barriers are shut, you need to wait for a coach who can open them for you. If you are unsure, give us a call on 07951 770241. You can of course still park at the Coy Carp if you prefer and walk along the canal, over the cut and turn right, the Sailing Club is on the left over the wooden bridge. It is a distance of about 500 metres, but please if you are using their car park, for anything else than dropping off, use their pub, they have been good to us over the years and we want to maintain a good relationship with them. 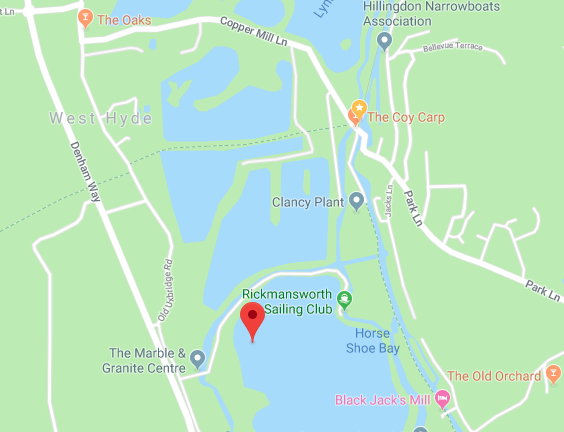 This is part of an ongoing development of a partnership with Rickmansworth Sailing Club, which will help us to do more sessions and we will in time establish closer and closer links with the Sailing Club. 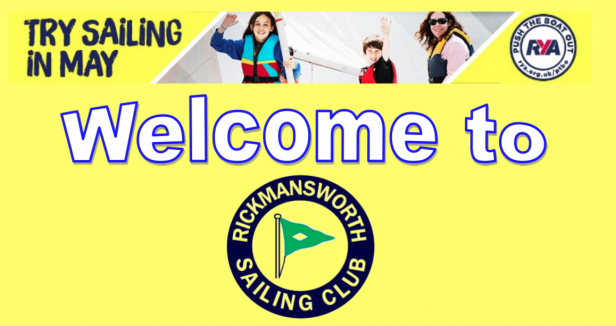 If you are interested in joining Rickmansworth Sailing Club, you would be most welcome. Like us they are a welcoming organisation who want to get more people enjoying themselves on the water. The first joint event we will do with the Sailing Club is their “Push the Boat Out” event on Sunday May 19th from 11am. There will be opportunities to try sailing and canoeing for free, so please come long and give sailing a try and bring friends and family who maybe have not tried either canoeing or sailing before. There will be food and drink available, so come a long and make it a day out. Big Thank-You to Rick Moore, who has been key, well done everything really, including design and construction, to ensure we get the in place.. 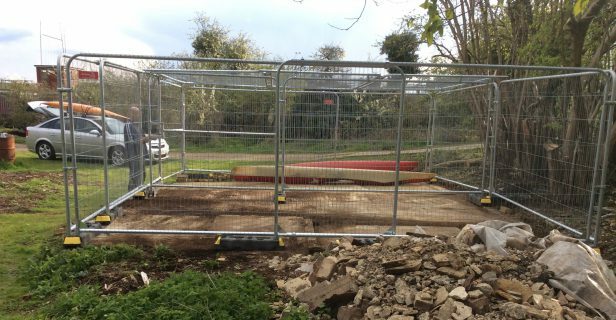 The idea is a fenced cage that is secure, we will be adding more to it, but it is now up and can store boats. We will be installing proper racking, some protection for kit etc. The above is what it now looks like, just over 7 moths ago it looked like this. 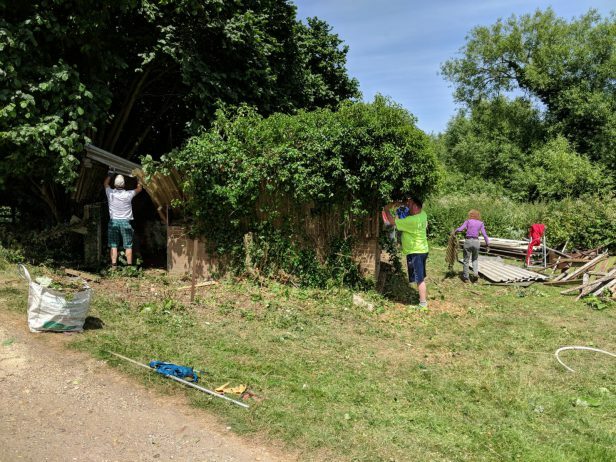 To clear the site for a store, which went through many ideas and designs, from a proper building to what we now have, not only is this an affordable option, which is always important, but we think it is the best choice particularly with the Sailing Club facilities on hand. 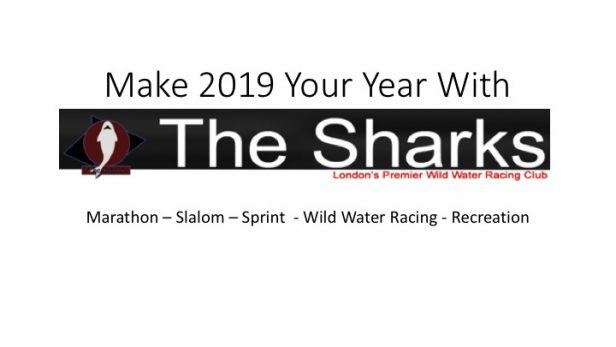 We will over the months and years develop closer links with etc Sailing Club, enabling us to improve what we do and what we offer, but for now we will be running our slalom sessions and our Wild Water Racing Sessions form here.